The Wilson Foundation has partnered with the Australasian Society of Lifestyle Medicine (ASLM) to deliver evidence-based lifestyle medicine guidelines, training and integration into the health and community sector. 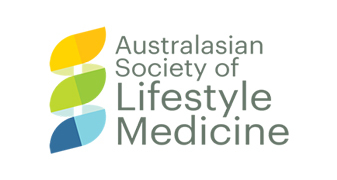 ASLM is a multidisciplinary society working to improve the health of Australians and New Zealanders through the promotion of Lifestyle Medicine as central to clinical practice, healthcare and health policy. Research indicates Lifestyle Medicine is one of the most effective therapies for the prevention and reversal of the most common chronic diseases including mental illness, facilitating better patient outcomes and more innovative and cost-effective models of care. BrainPark, located at Monash University, is a world-first neuroscience research clinic dedicated to creating better outcomes for people with compulsive behaviours; from unhealthy habits through to addictions and obsessive-compulsive disorder. Focusing on simple, accessible and non-invasive interventions – including physical exercise, meditation, cognitive training, virtual reality and brain stimulation, BrainPark will bring the latest neuroscience with diagnostic or therapeutic benefit to the community in an accessible and inspiring way. The Wilson Foundation supports BrainPark through the “Wilson-BrainPark Senior Research Fellow” to develop, test and validate lifestyle and technology combinations to improve brain and mental health outcomes. This partnership will help provide a neuroscience informed approach to detecting, overcoming and avoiding addictions and compulsions. Opening in 2018, the Thompson Institute has built a reputation for a unique, integrated model of care which has put it at the forefront of research into some of regional Australia's most pressing mental health issues including dementia, suicide prevention, post-traumatic stress disorder and youth mental health. Through the support of the Wilson Foundation the Thompson Institute will establish a Healthy Brain Ageing Clinic for lifestyle interventions and dementia risk assessment. The clinic will also establish a pool of participants for clinical trials, including trials investigating the impact of four intervention arms: (i) exercise, (ii) nutrition, (iii) sleep and (iv) meditation on dementia risk.